Samsung’s return to form Galaxy Note 8 phablet was unveiled on Wednesday. While the smartphone looks to win back the trust of consumers following the Galaxy Note 7’s fiery demise, it still doesn’t come cheap. The Galaxy Note 8 is priced starting around $930 in the US, but Barclays’ Mark Moskowitz says Samsung is in a better position to capture the premium smartphone market share with the smartphone than Apple is with its upcoming iPhone. Barclays analysts have found that less than 1 in 5 potential iPhone buyers, or 18 percent, will opt for an iPhone that’s priced over $1,000, 9to5Google reports. Considering past reports that the upcoming tenth anniversary iPhone will cost around $1,000, this may just prove to be a tough fight to conquer for Apple. “While the [Galaxy Note 8] device itself seems more evolutionary than revolutionary, we believe this launch represents the return of staunch competition into the premium segment ($700+ ASP) of the smartphone market following Samsung’s Note 7 debacle last year. For Apple, we are concerned that the company needs to meet momentous investor expectations following the expected launch of three new iPhone devices in September. This could be made more challenging when considering that only 18 percent of potential iPhone buyers are willing to spend $1,000+ for a new device, which is below the 30-35 percent figure investors seem to be expecting,” the Barclays report is quoted to say. Samsung, on the other hand, is unlikely to see a slowdown seeing as how its Galaxy S8 flagship smartphones have fared in the past quarter. Barclays believes that the Galaxy Note 7 debacle has not damaged the company’s reputation and is unlikely to hurt sales of the Galaxy Note 8. And if Apple does price the iPhone 8 north of $1,000, Samsung may just own the premium market. The analysts’ note sees Apple growing in the near term, but is uncertain about the future. “Beyond the near-term, we remain concerned that Apple could be lacking a meaningful “what’s next” story that keeps revenue growing. 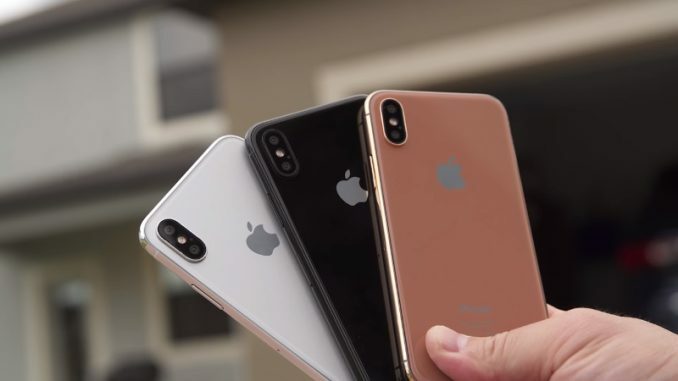 As a result we remain on the sidelines.” One will have to wait and see how Apple plans its pricing strategy for its next iPhone to compete against Samsung’s latest offering.